Payment is expected at the time of service. 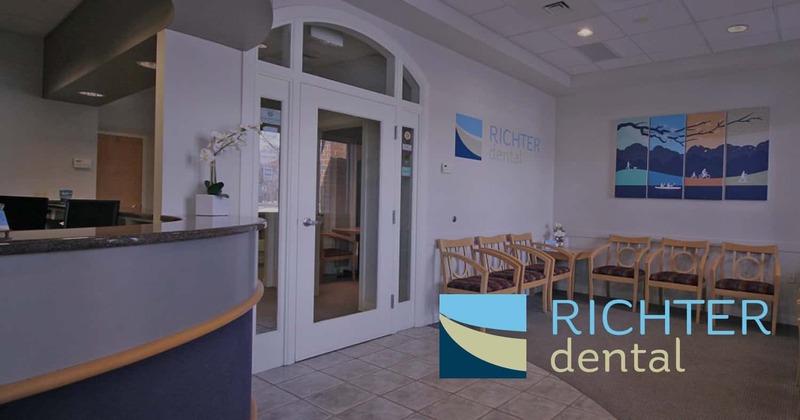 Richter Dental accepts cash, check, Visa, MasterCard, Discover and American Express. We offer assisted financial plans through CareCredit®, an affordable option used by many of our patients to pay for their dental treatment. CareCredit has 0% financing with monthly payment options available that can be used for co-payments, deductibles, treatment and procedures not covered by insurance. Learn more at www.CareCredit.com. Lending Club Patient Solutions provide quality financing for patients. You can focus on ensuring you get the restorative, cosmetic or orthodontic care you need. The maximum loan amount is $50,000 and the monthly term limit of 84 months. Extended Plans offered through Lending Club Patient Solutions provide some of the most flexible and lowest monthly payments. We work with all insurance companies and as a courtesy, we will file your dental insurance claim for you. The Richter Dental staff will provide you with a treatment plan including your estimated “out of pocket” expense for your dental treatment. We will estimate your portion and ask you to pay that amount at the time of service. Unfortunately, your dental insurance company will only pay for a portion of your dental care and cosmetic procedures like teeth whitening will not be covered. We can make no guarantee of any estimated coverage made by your insurance company, but we will see that you receive your maximum benefits. In the event your insurance benefits result in less coverage than anticipated, you will be responsible to pay the outstanding balance. The Richter Dental Savings Plan is designed to provide affordability and greater access to quality dental care. Your benefits are available only at Richter Dental. For all the details about our in-house savings plan, call 1.833.RICHTER.